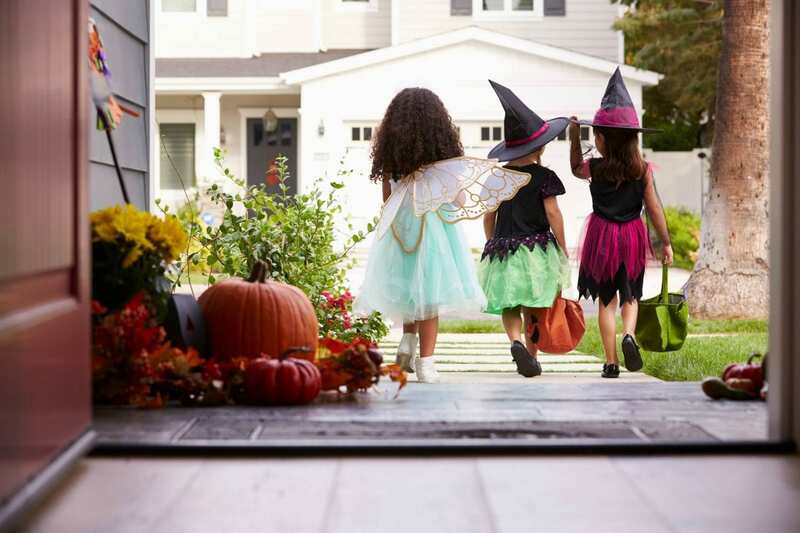 While Halloween is an exciting time for kids, it can be a nerve-racking time for parents — with safety being their top priority. Gone are the days of turning your children loose in the neighborhood to go door-to-door without a safety plan in place. Make sure you know the neighborhood and who lives there. You can do a quick search on BeenVerified.com to see if your new neighbors have any skeletons in their closet. The most popular times to trick-or-treat are 5:30 to 9:30pm. There is safety in numbers, so it is best to stick to these times when canvasing the neighborhood. Remember, if the porch light isn’t on, don’t knock. This house is not participating in the festivities. Spooky decorations and the lure of candy can be very enticing. However, remind your children to never enter a stranger’s home while out trick-or-treating. Children under the age of 12 should never be turned loose to go door-to-door without adult supervision. It’s always best to go out in groups and stay in the neighborhoods you are most familiar with, using the sidewalk and remaining on well lit streets as you navigate the neighborhood. Kids should carry flashlights with fresh batteries or glow sticks so they are visible to cars and motorcycles. Include reflector tape on the bottoms of shoes for added protection. Beware of dogs you don’t know and advise kids not to pet dogs you meet along the trick-or-treat route. Dogs can be nervous around little kids, especially ones dressed like ghouls and goblins. As always, kids should never talk to strangers, especially adults dressed in scary clown costumes. Kids should also be instructed never to take money from adults they don’t know. If approached by an inappropriate adult, they should report it to parents immediately. If your kids feel uncomfortable with an adult in the group, give them permission to exit with confidence. Just because someone isn’t dressed like a villain doesn’t mean they are safe to be around. Let your child follow his or her intuition. It’s always good to prepare for the worst case scenario. Should your child be grabbed, instruct him to kick, bite and scream for help. Teach them to say things like, “You’re not my parents…I don’t know you!” In most cases, the ruckus will cause the perpetrator to flee the scene. If parents are still concerned about safety, they can also consider hosting a well-supervised Halloween party instead of trick-or-treating. You should decorate your kids’ costumes and candy bags with reflective tape to make them more visible on the dark streets. Make sure your children’s costumes fit properly so they can maneuver easily, to prevent trips and falls. Purchase costumes and accessories that are flame-resistant. By having a trick-or-treat plan in place, you are sure to have a memorable and safe night haunting the neighborhood!